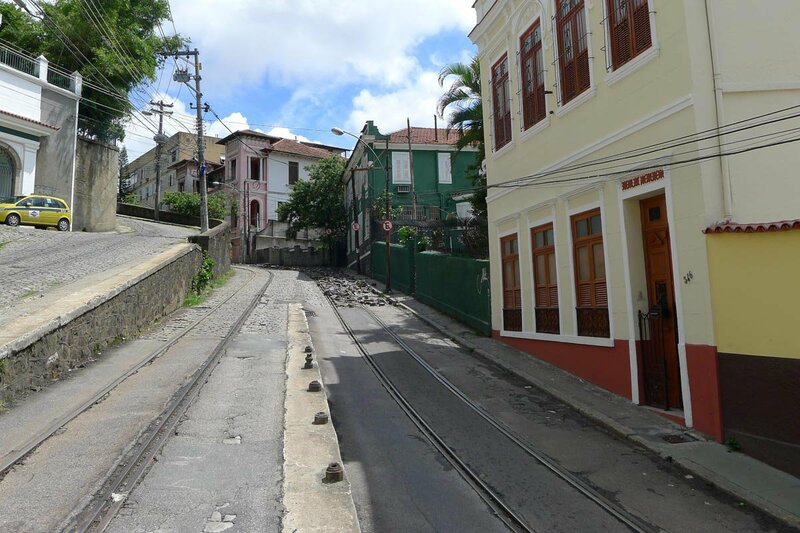 It's okay to walk down this empty street in Rio. Photos by Pavia Rosati. All eyes are on Rio de Janeiro as the Summer Olympics and Paralympics kick off tomorrow. This year, the pre-Games news has struck a particularly somber note, as anxiety surrounding the Games is at a fever pitch. For several reasons, foremost among them the safety of the athletes, visitors, and residents. Rio has always been a dangerous city, where tension between haves and have-nots is acute. That the local and national government is plagued by corruption charges around Olympics-fueled development projects that either weren't completed or that lined the wrong pockets may help explain why two-thirds of Brazilians polled a few weeks ago think that . On top of this, the threat of global terrorism, a danger largely unknown in Brazil, looms large as ISIS extends its reach around the globe. And then there's the Zika virus. Yet the Games will go on. And they will hopefully be brilliant. Brazil successfully hosted the 2014 World Cup, which is positive history. And Brazil has been preparing itself: In recent months, the US State Department's Bureau of Diplomatic Security has been working with the Brazilian government to enhance their security procedures and initiatives. In March, troubled president Dilma Rousseff, who is under threat of impeachment, signed a new counterterrorism law to extend government reach and authority. What does this mean for travelers? A few years ago, when Popupla founder Pavia Rosati went to Rio by herself, she heard the same thing: Rio is incredibly dangerous. It's the same story she'd been hearing since her first trip in the late 1990s; it's the same story that visitors are hearing today. 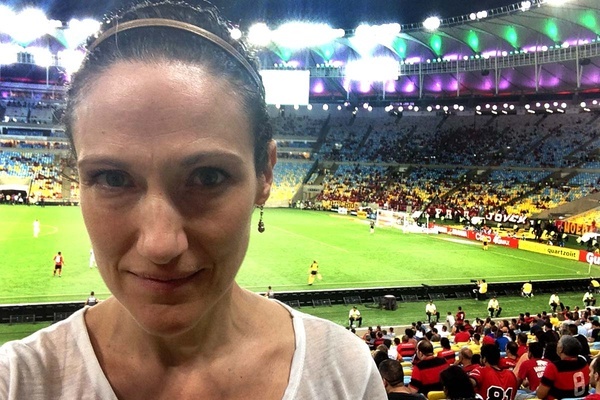 Below is her on-the-ground experience of traveling in Rio. Popupla isn't going to be at the Games, but we would have gone given the chance. For those who are planning to be spectating from the sidelines, have a great time, be smart, and bookmark the . RIO DE JANEIRO – A funny thing happened on my way to Rio this spring: I had to stop telling people I was going. Normally, I love casually dropping references about where I'll be globe-hopping ("can we have dinner the week after? I'm in Amsterdam...") for the reactions they solicit ("are you ever off a plane, Rosati?"). But this time, the responses were different. "Take no jewelry. None. I'm not kidding. Leave everything home." "You're not going to be alone, are you?" "Do you have a driver?" "Azumi is the best sushi restaurant on earth, but you cannot go without a man." "Don't change money anywhere but the airport." I've read the headlines, and I'm no stranger to danger on vacation. And I'm no stranger to danger in Brazil, especially recently, given all the "clean up" the government has done in anticipation of the World Cup and the Olympics and the civic unrest this has caused. I hadn't been to Rio in 15 years, but I remember clearly that not paying a street urchin girl 2 reals to "keep an eye on our car" resulted in a 400 reals bill to repair the windshield wiper on our rental car that had mysteriously snapped while we were at dinner. I know what to do with travel hesitations I hear from people who don't really travel. (I thank them for their concern and ignore them.) What was astonishing and, frankly, totally off-putting was who the anxious Rio reactions were coming from: my most well-traveled, go-anywhere, I-laugh-at-peril, adventure-seeking friends. Was there something to this? I asked my s on the ground, a journalist who has lived in Rio for almost a decade, and Steve Chew, founder of , a company that rents gorgeous homes to visitors and thus is in the business of keeping travelers safe and happy. The consensus was that I should play it safe, so I took extreme travel safety measures. I left my jewelry at home. I wore a small pair of earrings that cost $10. The boutiques I went into were dripping with diamonds and jewels, but nobody was wearing any of it on the streets. Cariocas, as the locals are called, save their bling for private parties. I kept my clothing casual, too. Flats, white tee, khakis. When I had coffee with my new pal Mariana Vilhena, who works at the gorgeous , my very safe home in Ipanema, I asked her how she felt about crime in Brazil. "Well, we're careful," she said. "Because why take chances?" Assessing my outfit, she said, "you're perfectly Carioca right now." Pavia's understated Carioca style at Maracanã Stadium during a soccer game. I changed money at major banks in nice neighborhoods. I had to change money the morning I arrived, en route from the airport to my hotel. There was no parking in front of the bank branch, so I had to leave my bags in the taxi and walk half a block to the ATM. With my heart in my throat, I kept one and a half eyes on the car the whole time I was getting cash. When I got back to the car, the driver was so solicitous and kind, anxious to hear if the ATM had worked easily. I felt stupid for ever doubting him. Stealing my rolly bag was the last thing on this guy's mind. I carried one credit card and as much cash as I'd need for the day in the inner zippered pocket of my purse, which, yes, I clutched a little closer to my body than I usually do. I left everything else, including my wallet and ATM card, locked in the hotel safe. This is the stuff that inspires credit card commercials about that kind of emergencies that leave you wondering, "who is that amateur, bozo traveler??" It was me. Yes, I took the subway, though I didn't take it at night to get to the soccer game at Maracanã Stadium. Yes, I walked everywhere, though on a desolate street in Lapa after dark my "brisk walk" probably looked a little more like "an aggressive jog." Yes, I ate dinner by myself, but I looked around the room a little more frequently. And I went to Azumi without a man: The Copacabana street it was located on was grimy but fine. The real tragedy was that the world's best sushi restaurant is not open for lunch. I walked all over the allegedly dicey Centro district until after dark and no one hassled me. There's only one thing I didn't do, and that's check out a gallery because two local girls told me I absolutely could not walk there, even though it was only five minutes from the Museo de Arte do Rio. Was it the right call? Hard to say. I wish I had gone. So it was either luck or care that carried me safely through my time in Rio. I spent the trip very aware of my surroundings, playing it a little safer than usual. But I didn't let any fears of crime prevent me from enjoying the overwhelmingly positive and high-energy experience that Rio so undeniably is.